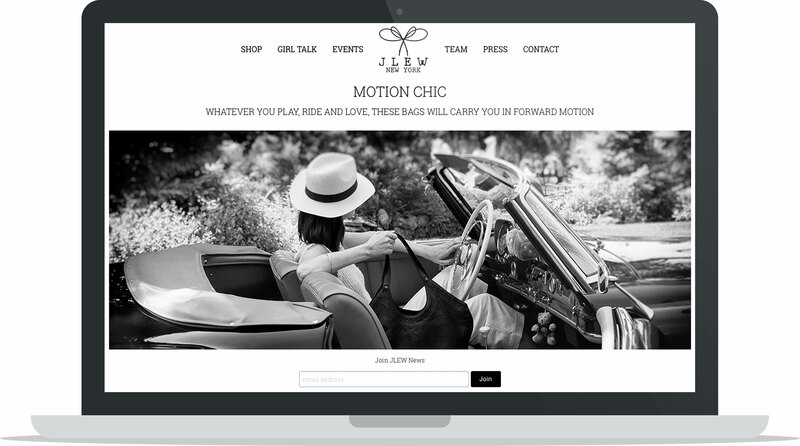 In this ecommerce business case study learn more about JLew Bags, a Made-in-USA handbag company that focuses on creating functional and stylish bags with a brand message centred around female empowerment and a calendar full of fun brand events. 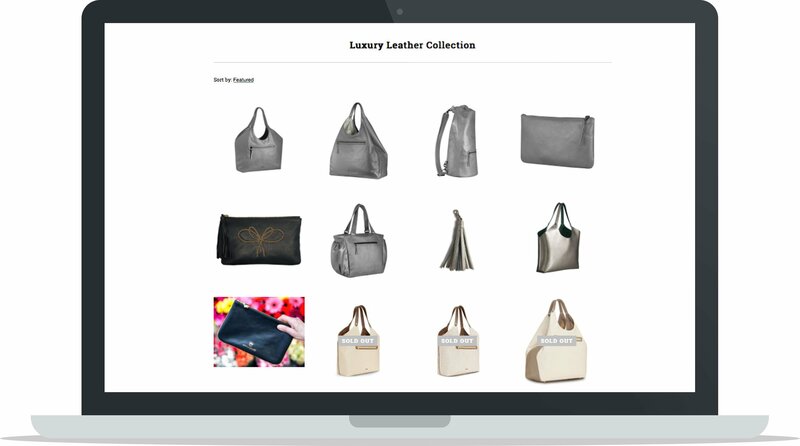 Learn more about the founder, Jamie Lewis (a former Wall Street fundraiser), and how she built JLew bags out of necessity to meet her own pain point for a practical and beautiful handbag. Quitting her job to pursue JLew Bags full-time, enrolling in night classes as The Fashion Institute of Technology in New York to learn more about how to create a great product, and using every trade show and pop-up as an opportunity to network are just some of the foundations of how this business was built; read on to learn more. Can you tell us about your background and JLEW? We make bags for women with an active lifestyle. When I started JLEW Bags I was working on Wall Street as a fundraiser. Frankly I didn’t set out to start a business per se, it just kind of happened. I was looking for a bag big enough to hold all of the “stuff” I carried on a daily basis, yet looked professional enough to carry to and from meetings. When I couldn’t find one, I decided to make my own . . . and by putting one foot in front of the other all of a sudden I looked up and realized I had a business. How did you create your first products? Honestly I was a bit of a maniac. I became obsessed about making the perfect bag and would come home from work and sew and sew and sew. About nine months later when I thought I had the perfect bag and started showing it off to fashionistas, they weren’t super receptive. One actually suggested I go back to school and learn how to make bags “for real,” so that’s exactly what I did. I enrolled in night classes at Fashion Institute of Technology the next day! I funded the business wholly on my own. I sold my fancy condominium, invested the proceeds in the business and moved into a work/live loft. I am a networker at heart and have had sales/marketing responsibilities professionally over the past twenty years. We tried to work with PR firms, albeit unsuccessfully. We found getting out there, showing the product face to face, telling our own story was the most effective path toward sales, so that’s what we did. The first year we spent a lot of time and money and energy traveling around from tradeshow to pop up to getting into stores to doing whatever / going wherever might give us an audience to tell our story and show our bags. We learned a lot of lessons and are much more focused now. Our audience is growing and the story is getting out there which is translating to sales from folks we didn’t know already (yay!). What are some of the challenges you’ve faced manufacturing your products? Manufacturing product in the US is awesome because it gives us an ability to do bespoke work, oversee quality, make changes real-time and get to market faster. We can offer a wider variety of product given lower minimums than somewhere like Asia. That said, it comes at a price. Our labor in the US is 10x the cost of what we would pay for similar quality (not as good, but similar) in China. It requires us to explain why investing in local labor matters to prospective customers. We’re proud of our quality and have a long-term view on building this business, so we’re taking the time to show people the difference. In fact, we invited our customers to the factory in Brooklyn for our one year anniversary celebration. We showed the evolution of the bag designs from initial prototype to what we produce today. We walked them through how many parts of the production process are completed manually (there are nearly 60 individual knife cuts on the curve of each of the four curved leather pieces on our triangle top totes, for example; we screw in the feet and rivets on the handles manually). It requires us to explain why investing in local labor matters to prospective customers. We’re proud of our quality and have a long-term view on building this business, so we’re taking the time to show people the difference. When did you decide to start the “4 F’s Sake” blog? Our blog wasn’t created as a sales tool. 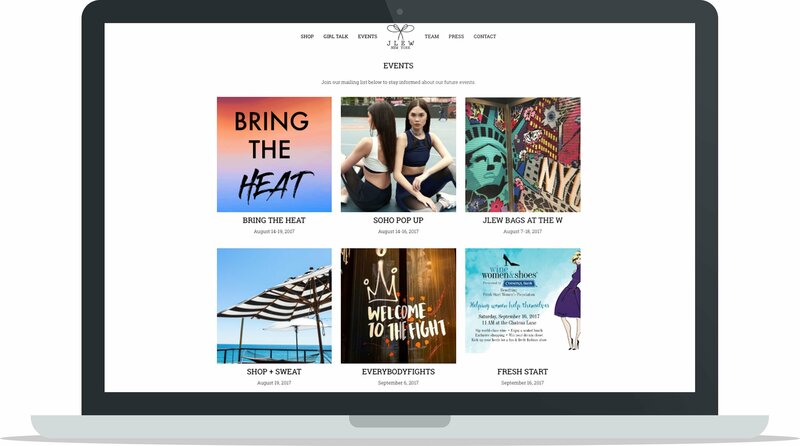 We use it as a way to engage our community and update them regularly on topics relevant to the brand. I like the idea of maintaining a dialogue with our customers rather than pushing product on them week after week. With #4FsSake we get to share ideas and accomplishments we’re excited about and believe women attracted to the brand will appreciate. How often do you run events such as this? What kind of events are popular with your customers? We try to keep it interesting. We’re always out and about doing fun things . . . often engaging with our customers face to face. Any chance we get to play a game, challenge ourselves or others, we jump. This originated out of an event we did with another female-founded business focused on empowering women, Vesta Movement. We connected on social media and they invited us down to Atlanta to sell bags in their parking lot actually. We got excited planning and all of a sudden this little pop up turned into a party with PBR as a beer sponsor. In an effort to engage everyone involved, we decided to run this contest. We had so much fun watching how people measured and thought through it all. We’re actually planning something fun now with a fellow NY-based startup that makes hot sauce . . . stay tuned as we try to outdo ourselves as we go along, so this one’s sure to be fun! Are there any other initiatives that are important to your business? Email marketing has proven most effective for converting sales so that’s a big focus for us currently. Social media really is a blessing and a curse. We love engaging with the community and do believe it will translate into sales eventually, but that hasn’t been the case so far. Much like Lacoste won’t lose that alligator icon, boxing will always be part of the JLEW brand. That said, we are championing strong women and believe our bags help them get through their day a bit easier. Our bags help them stay organized and transition seamlessly from one activity to the next such that she has one less thing to think about (carrying multiple bags or changing in and out of one to another). Fighters symbolize women’s agency and power rather than victimhood . . . they have dating back to Greek, Greco-Roman and British mythology. That’s the connection we aim to make by championing female fighters . . . it extends to mothers, CEOs, all of womanhood, not just boxers. What tools are most important to your business? We are very happy with our investment in Shopify. There are so many tools and apps that make running the business more efficient and effective. We only wish we had more time to learn them all! We love how it integrates with our email marketing applications and our CRM system. We have incorporated Shopify apps to facilitate invoicing, shopping social media, among other tasks. Believe it or not, we’re about to launch a man bag! I’m really excited about that and hope to get it out there this fall. Prior to that we’re doing a series of fitness activations in the Hamptons with our #GirlsWithGuts. It should be a ton of fun . . . follow www.jlewbags.com/events and join our mailing list to stay in-the-know! What advice would you give to other ecommerce entrepreneurs? My favorite professor from FIT had her own business years ago and calls me just about every month and makes me repeat to her “if it were easy, everyone would do it!” I’m glad she didn’t tell me this BEFORE I started the business, but sincerely appreciate her constant reminder. Just keep going is the best advice I can give. Believe in yourself and remind yourself that it takes time to build something great. This case study has been sourced by Josh Bitossi of Built With Shopify, an online resource dedicated to sharing Shopify store examples & case studies just like this one.